If you follow along on the Silhouette Facebook page you may remember that last week I shared a Deal Alert on the Silhouette Printable Clear Sticker Paper. I grabbed it and promised a tutorial and so today I'm delivering. Most people probably first think to use the clear printable sticker sheets for printing off labels for glassware or glass jars. I decided to use it to make some stickers for my business cards. My Etsy business has taken off locally so I created a local FB page for it where people can order without paying shipping, etc. 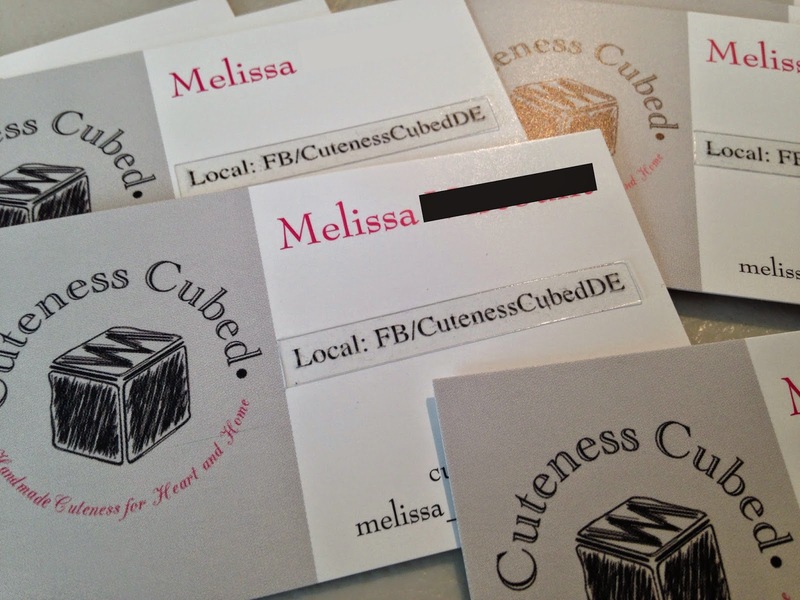 However, my local FB page isn't listed on my business cards. UGH. I have been writing it on there for months now. 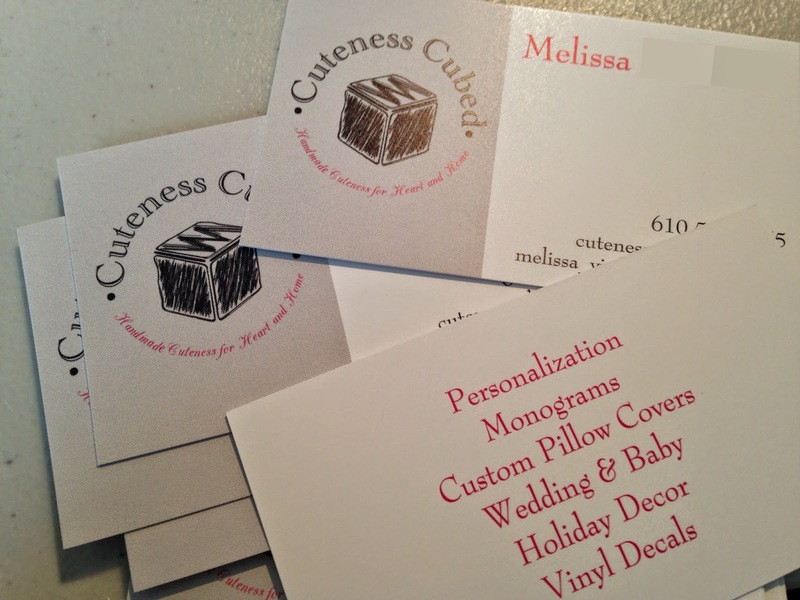 When I need to reorder I'll add it, but for now I thought I'd print clear stickers and put them right on the cards. 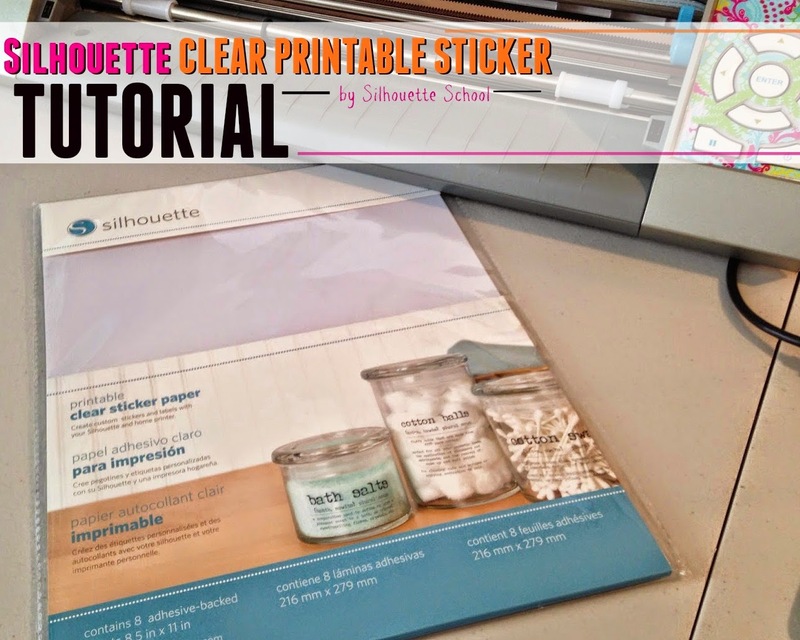 To make your own clear printable stickers with Silhouette is really no different than making paper stickers or any print and cut. I'm going to fly through this part so if you need a refresher on print and cut, click here. So to get started, do all your designing in Silhouette Studio. Mine were a matter of simply typing out a line of text. Remember, if you are printing text it either needs to be filled in or the (out)line needs a line weight to print. I used the draw a box tool to draw a box around my text so I would get long rectangular stickers. The cut lines for the text were turned off leaving only the cut lines on for the boxes. From the Page Settings window I changed the page layout to "Current Printer". Load the sticker paper into the printer so that your printer will print on the shiny side. From Silhouette Studio, send the design to print. You can see that much of the ink smeared and smudged (more on this in a minute). I was so bummed! But I carried on...since a few of my stickers could be saved. Load the sticker paper onto the cutting mat. From the Cut Style window select Silhouette Clear Printable Sticker Paper from the Material Type and adjust the blade to the recommended setting. Send the stickers to cut. I had to use my hook tool to peel the stickers up off the backing. Now while I can't do anything to change the thickness of the sticker paper, I did want to figure out a way to fix the smeared ink...or at least try to (before I went ahead and publicly criticized it). A few tweaks and test prints later, I figured out the trick. I'll be sharing details on how to prevent the ink from smudging on the clear sticker paper tomorrow on the blog so check back! These are great stickers! Question if I print labels to put on glass jars, will they stay put through hand- and/or dish-washing? Ink Jet ink is water based. It always smears when wet. I have used laser printers on paper to avoid that, but they smear horribly on glossy surfaces. So what can you do? I have successfully used "Preserve It" spray by Krylon over the inkjet print. Comes in Matte or Gloss. are these sticker sheets for just inkjet printers or can you use them on laser printers too??? Hi there. My printer won't feed the sticker paper through. Does this only work on certain printers? Hi there. I am about to purchase a Cameo and have a couple of questions. Will it scan and cut any shape even if it is not found in the program? Also is there smaller sticker papers like 4x6 for example?